Fierce Lagos preacher and General Over seer of Fountain Of Hossana Church Of Christ, Pastor Kehinde Abiodun, has condemned the action of certain men of God who allow comedians to mount the alter and crack jokes using bible passages and secret religious exercise as comedy materials. 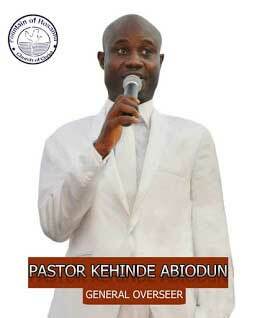 Abiodun was speaking at a recent programme organized by the Church tagged “Arise Oh Lord”. The preacher of genuine holiness seed it was sad, sinful and shameful that people have reduce the holiness of God to mere jokes “can you imagine, Pastors, calling on comedians to mount the alter to start joking about how different churches pray or sing and even using instances in the bible to turn them to jokes. The annoying part is this pastors will be laughing with them. We need to ask or mercy from God this not acceptable..” the preacher echoed.